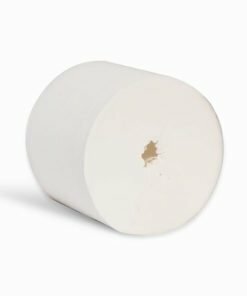 A selection of Toilet roll for use within the workplace, hospitals, building sites, schools, leisure centres, health centres, hotels and more. 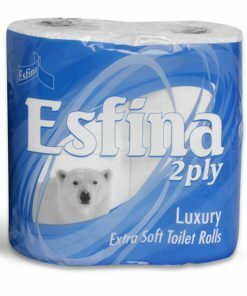 Our toilet roll is of excellent quality and is very affordable. Sold in multi packs for your convenience, saving you both time and money. A basic hygiene product that every establishment and household will require. Part of our range of quality janitorial supplies. 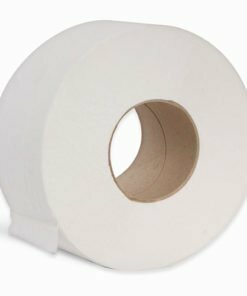 Most of our toilet tissue can be used with a dispenser. This helps to reduce wastage and saves money too. Made from soft pulp, our toilet tissue is 2 ply for your comfort. All toilet paper we sell is CHSA certified (cleaning and hygiene association). Make sure you don’t get caught short and always have a good supply of toilet tissue in stock. Need some help with your order? Any questions? Then give us a call on 0330 885 675 and we’ll be happy to help.